Gionee S9 is not turn out to be the best flagship killer out there, but its neither that bad. The phone becomes official in China yesterday. The company's latest handset features a 5.5-inch LCD display, carrying a 1080 x 1920 resolution, under the protection of Gorilla Glass 4. A MediaTek Helio P10 chipset (MT6755) is powering the handset containing an octa-core 2GHz CPU, and the Mali-T860 MP2 GPU. 4GB of RAM is inside along with 64GB of native storage. The S9 boasts a dual rear camera setup with a combo of 13 and 5 megapixel sensors from Sony and Samsung. The setup allows the user to retroactively alter the depth of field and create a pronounced bokeh effect – a feature that’s been available in phones like the Huawei P9 and Apple iPhone 7 Plus. In addition to the dual sensor rear camera, the S9 also gets a 13 megapixel front camera with a selfie flash, a timer and many enhancement modes. The metal-clad dual-SIM Gionee S9 sports fingerprint scanner at the rear. Gionee claims that the S9 comes with several secure features such as application password feature that lock apps and documents with fingerprint or password lock. The phone also offers private space that will let users save private contacts, texts, call history, and documents among others separately which can be protected with fingerprint. A fast charging 3000mAh battery keeps the lights on. The Dual SIM enabled handset runs Amigo OS 3.5 on top of Android 6.0. The Gionee S9 is 7.4mm thick, weighing in at 168.2 grams. 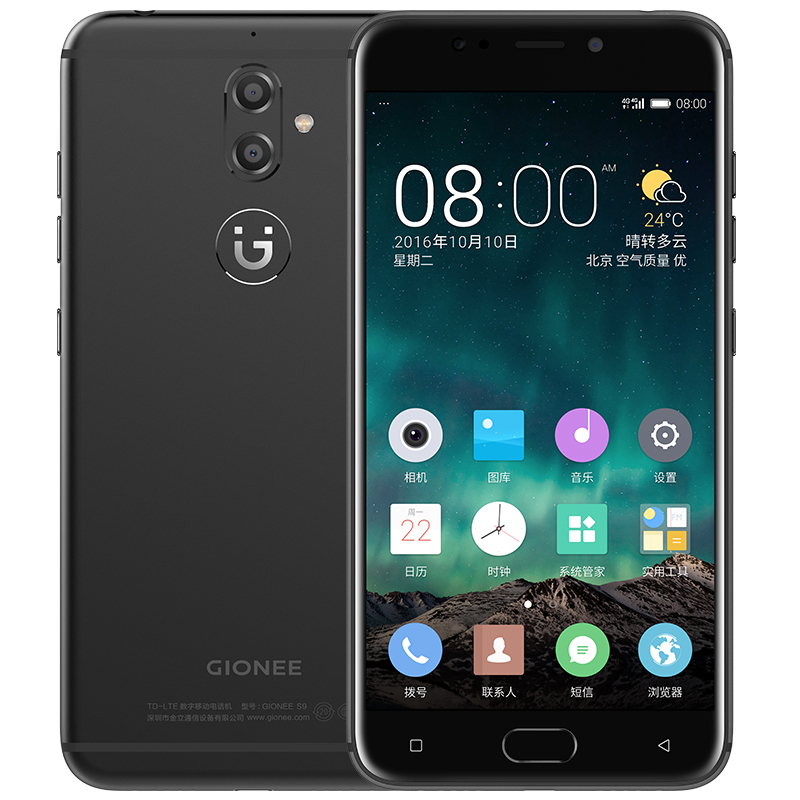 Priced at CNY 2,499 (approximately 364 USD), the Gionee S9 will be available in China starting November 25. It will come in Black, Gold, and Rose Gold colour variants. The company has so far not revealed global rollout plans for the S9 smartphone.